Four, then five! 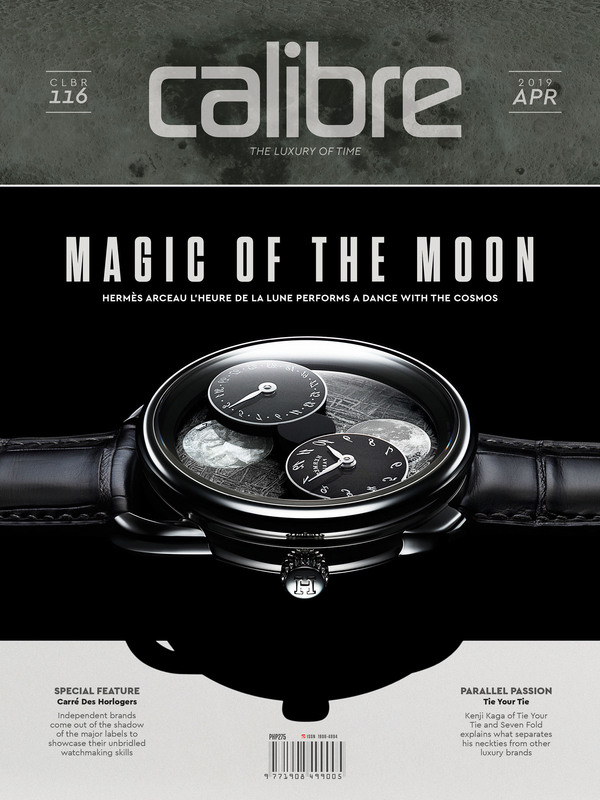 After the first three Good Design awards scooped just over a year ago, Ateliers Louis Moinet are proud to announce that they have won two more prizes in the same international competition. Since they were first set up some seventy years ago, the Good Design Awards have sought to assess whether a creation’s design enriches people’s lives. Companies and independent designers usually submit a total of around a thousand applications, from some fifty different countries. From the paper clip to the Boeing 787 Dreamliner, only the most compelling creations are chosen – regardless of cost, utility, or price, making the competition even more difficult. Metropolis is a city watch, with an ethos combining ergonomics with design, and function with style. Breaking free of neoclassical convention, Louis Moinet has adopted a distinctive, contemporary approach unlike anything the Ateliers have ever done before. 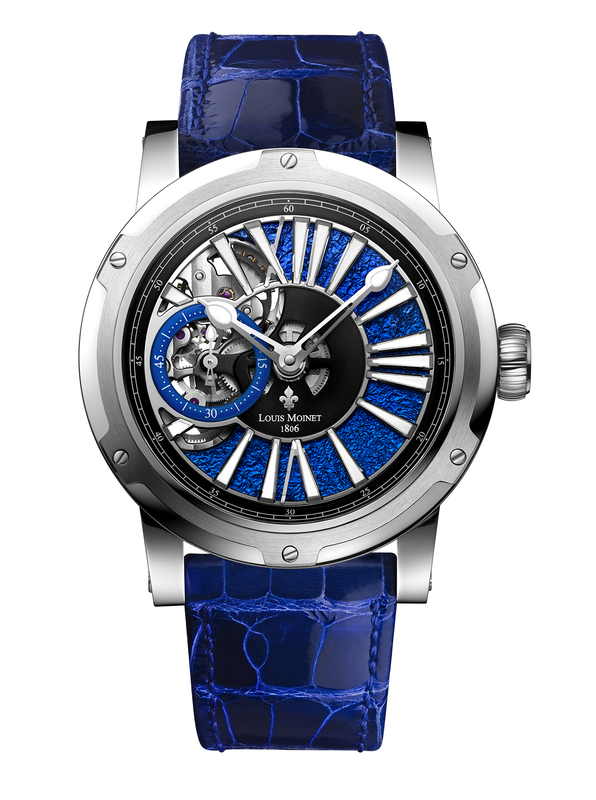 Its Magic Blue finish, exclusive to Louis Moinet, gives the piece a unique sense of depth and offers a poetic reminder of the immensity of the heavens, the focus of Mr Louis Moinet’s own observational astronomy two centuries ago. 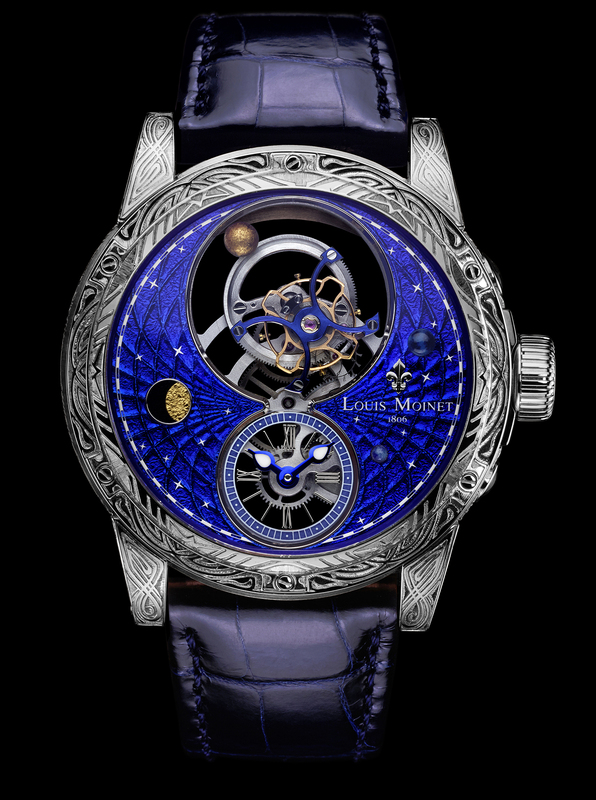 Space Mystery, meanwhile, is the world’s first “satellite tourbillon”, with the cage balanced by means of a planet that rotates around it – just one of several exclusive Louis Moinet features. Space Mystery also includes authentic fragments of a mysterious meteorite from the far-flung regions of space that holds traces of amino acids – possibly one of the first forms of life in the universe. 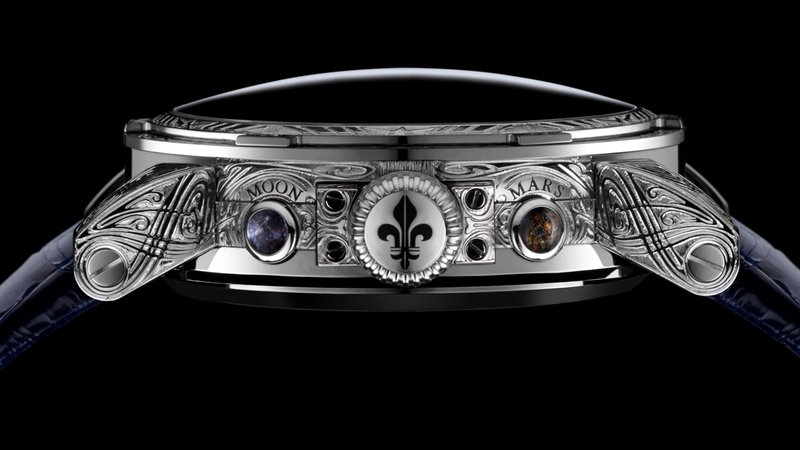 This unique Fine Watchmaking composition is also showcased on a Magic Blue dial.